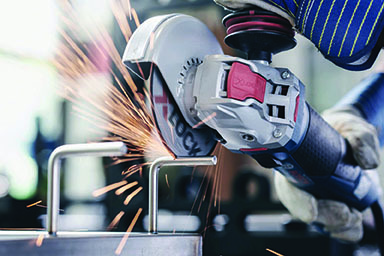 The new X-Lock Interface from Bosch makes grinder wheel exchange simple and up to 3x faster. X-Lock wheels are ejected with a lever pull and firmly connected without the need any other tools. They’re also backward compatible with standard 7/8” mounts. The tool brings a new level of ease of use for trade pros who rely on their grinder to get the job done.